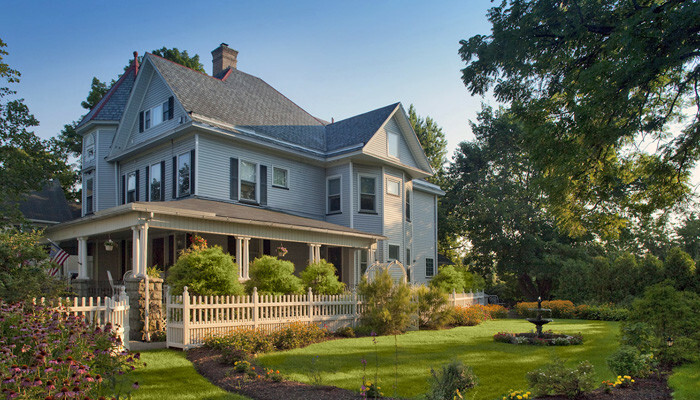 Outstanding 9 guest room Bed and Breakfast Inn, just 50 miles from New York City. 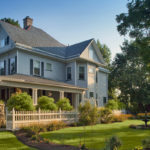 The Whistling Swan Inn is a nine guest room northern New Jersey bed and breakfast for sale, located in Sussex County, NJ, a region of beautiful sparkling lakes and mountains. Known as the Skylands, it is remarkably close to New York City, one of the best travel markets an innkeeper could wish for. The Big Apple is just 50 miles away. In addition to a great location, this top-tier bed and breakfast inn offers new owners excellent growth potential. That’s a winning combination! 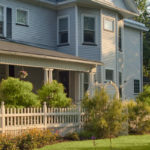 The northern New Jersey bed and breakfast for sale sits in the historic district of Stanhope, a northern New Jersey town on the edge of Lake Musconetcong and Hopatcong State Park. The 1905 Victorian style mansion has a refined yet welcoming character. Original woodwork, built-in cabinets and fireplaces create a sense of grandeur and warmth. Large, comfortably furnished common rooms, a wide wrap-around veranda and English style gardens provide abundant areas for guests to relax or gather. Guest rooms vary in size and amenities, from standard rooms to luxury suites. All have fireplaces. The owner’s desirable living space is a recent addition that connects to the Inn’s beautifully equipped country kitchen. It includes a family room with glass doors opening to a private deck, a very spacious master bedroom suite, ample storage and a separate office. Two outside entrances assure privacy and there is quick access to every floor of the Inn via an interior staircase. The Inn also has 14 off-street parking spaces and an electric vehicle charging station. Guests of the Whistling Swan Inn, northern New Jersey bed and breakfast for sale, come for romance, pleasure, business and outdoor recreation. Close proximity to New York City makes the Whistling Swan Inn an ideal getaway destination for metropolitan residents. Occupancy is high and the Inn is open year-round. The Inn also hosts small to medium sized special events. The Whistling Swan Inn earns excellent traveler ratings on TripAdvisor™ and is a member of Select Registry® and the Diamond Collection, an indicator of superior quality. The price is supported by the Inn’s current cash flow and is accurately based on a Marketability Assessment and Valuation.